Can you smell the amazing aroma of banana bread baking?? It’s a simple bread that pleases most in any family. Hearty, moist, soft, and comforting really. Slice and take on the go or toast with a little butter on top, YUM! 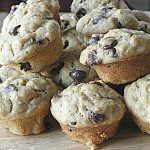 I have a few delicious banana breads on my site, Blueberry Banana made with whole wheat flour and Chocolate Chip Cream Cheese Banana Bread using whole wheat flour as well. 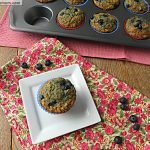 To make portion control easier, the muffin pan is my best friend. Making this recipe into a regular loaf bread is certainly fine but I doubt you’ll be able to make16 thin slices of it, as we have here in muffin form. You may be able to get 8 hearty slices of bread though so double the nutrition info. You can use any gluten free flour you like or make your own which is something I’m planning on doing soon, but for now I usedKing Arthur’s brand and love it! 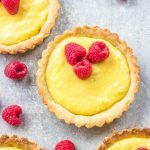 My intention wasn’t to make these low fat but to make them sugar free and gluten free, sometimes the low fat happens by accident and it did here. No oil is used or even needed in this recipe. 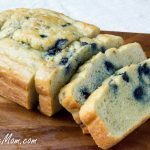 Many comments regarding my Blueberry Banana Bread recipe will back up the fact that it is a moist and delicious bread and shockingly without added fat. As you will see I did not use xanthan gum and have made them multiple times since posting this recipe. If the gluten free flour blend you use contains it, no need to add it. Honestly xanthan is for a nice pliable soft texture that replaces what gluten would provide in a recipe, but with the moisture from the bananas and applesauce I’ve never needed it, nor do I think it’s needed in this recipe. If desired you could always add 1/2 teaspoon of xanthan gum. In a large bowl mix together bananas, eggs, vanilla, milk and applesauce. In another bowl mix together the rest of the dry ingredients. Add the wet ingredients to the dry ingredients then add the 1/4 cup water. 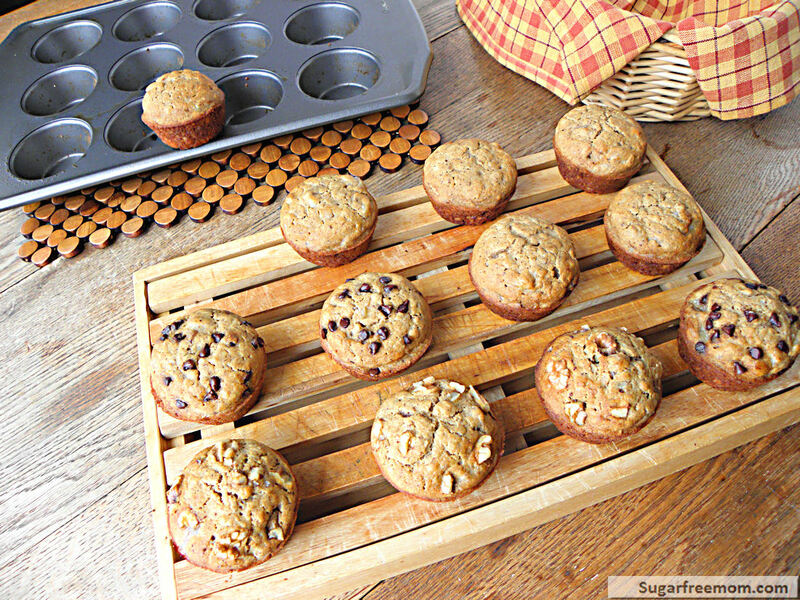 Spray a 12 capacity and 6 capacity muffin pan with nonstick cooking spray. Pour batter into muffin cups filling to capacity. Bake 30 minutes or until a toothpick in center comes out clean. You will bring some to Dave’s next week right? If my banana’s are ripe by then I will! I’ve just recently discovered your site and am thrilled to have come across it. I cannot have yeast or sugar and need some new options for breakfast. I notice many of your recipes call for milk and stevia. 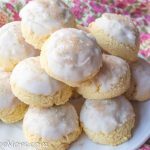 Can I use almond milk in them instead of cow’s milk? I have used stevia for years and have a lot of Truvia on hand. It’s ratio to sugar is 1:1. So when you call for a tablespoon of stevia, are you talking about the concentrated kind, or one like Truvia? If the concentrated brand, how much Truvia would I need to use instead? Thank you for sharing all your knowledge and recipes with us! HI Jill, In most recipes you can use almond milk in place of cows milk. My youngest has a tree nut allergy so when I know he will be having the recipe I do not use almond milk. Most recipes for myself or single serving recipes I do you almond milk. 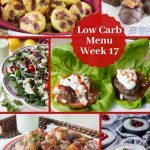 IN all the recipes I’ve linked the stevia I use in the ingredients. I often use pure stevia by the brand Sweetleaf and it does not have fillers and is not a ratio of 1:1 like truvia for sugar. Usually 1 tablespoon of sweetleaf powdered stevia is equal to about 1/2 cup of sugar or truvia, but I would suggest using less just be on the safe side, especially if a recipe already has applesauce or banana in it to sweeten it. Thank you! 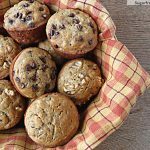 I have been looking for healthy versions of banana bread forever! I’m so glad I found your blog! I will for sure make these when I go to the store and get those red marked bananas that are on sale for 25 cents and make these! All I have is the Stevia packets, is that okay if I use that instead of the powdered Stevia? Pour the packets into a tablespoon or use maybe 4- 6 packets. 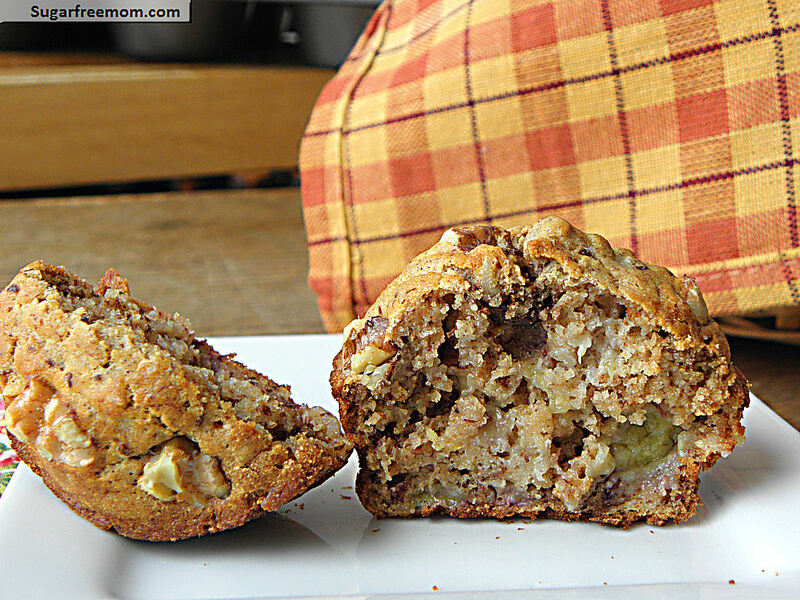 I love banana bread and I have powdered stevia, so this is my new go to banana bread recipe! Would ground chia seeds be a good substitute for the flax seeds? No, chia seeds when mixed with water gel and are a great substitute for eggs but not for flax. Might be better to just leave it out. I made them – they are awesome!!!! I made them with Easter breakfast and everyone loved them. They added local honey to them as well. =) Thank you for the recipe. I am making more of them tomorrow, along with a few other breakfast things from your site and freezing them! Do you think I could 1 cup flour and 1 cup rolled oats instead of 2 cups flour? These look delicious!! It’s worth a shot, though I haven’t tried that. Let me know if you do. 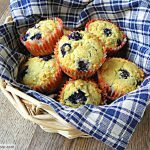 Since the main ingredient for these are bananas, I would suggest trying one of my other muffins, like the blueberry linked above of apple oatmeal muffins. Sadly hubby didn’t like them but he is very funny about texture. Can’t wait to try your recipes!! I have to eat gluten free and just started weight watchers. I love how you put the points!! This sounds very good. I was wondering if I was to use quinoa flour would be just as good? I’ve not worked with quinoa flour so I’m not sure how it is to bake with. This recipe sounds delicious! Do you think granulated Splenda would work instead of Stevia? Probably could but I don’t use Splenda so not sure how much you would need, maybe google a conversion chart. This recipe looks fantastic, dying to try it. However, I am unsure about the applesauce. Can you explain if it is a product, or homemade? oh super thanks! im unfamiliar with the name, though we make something similar called stewed apple. as a coeliac who has just been told to avoid sugar, I cant wait to try these! Someone said they used something instead of cream cheese? I didn’t see this on the recipe info and just wanted to make sure before I made them! Thank you for providing awesome alternatives!! I’m not a fan of stevia. Would honey be a good replacement? You could certainly use honey, maybe just 1/4 or 1/2 cup. I think you can keep them in an airtight container on the counter and they will be fine. We never have them more than a day though as they eat these up pretty quick! Great, thanks! I made them today and they are so good! Mine turned out mushy and wouldn’t separate from cupcake liner. I even cooked them a bit longer than suggested. Thoughts? Do you know how much of the liquid stevia it would take to replace the powdered stevia? I only have the liquid for now, but would love to make these. I would try 2 teaspoons. 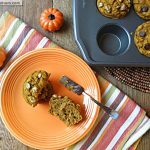 My family is not gluten-free; could another flour (all-purpose wheat, white whole wheat, whole wheat pastry flour) be substituted? Yes whole wheat pastry would be a good choice. You said that Whole Wheat Pastry Flour would be a good non-gluten-free substitute. Can you tell me why you prefer that over Whole Wheat Flour? Would it be too dry or something? Also, if I left out the stevia, would it taste bad or not be sweet? I don’t eat it. Also, if you are using gluten-free flour, why doesnt the recipe call for xanthium gum or something? I like whole wheat pastry flour has it has a nice lighter texture than the dense quality of regular whole wheat, just preference you can use what you have on hand. 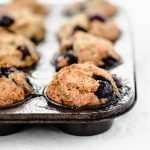 I don’t think leaving the stevia out will ruin the muffins but I do not think they will be sweet enough if you are making thee for children or a picky husband as I have. You might find them to be sweet enough for yourself. Some gluten free flour blends already include xanthan gum and I found it wasn’t needed in these. I’ve made them many times. 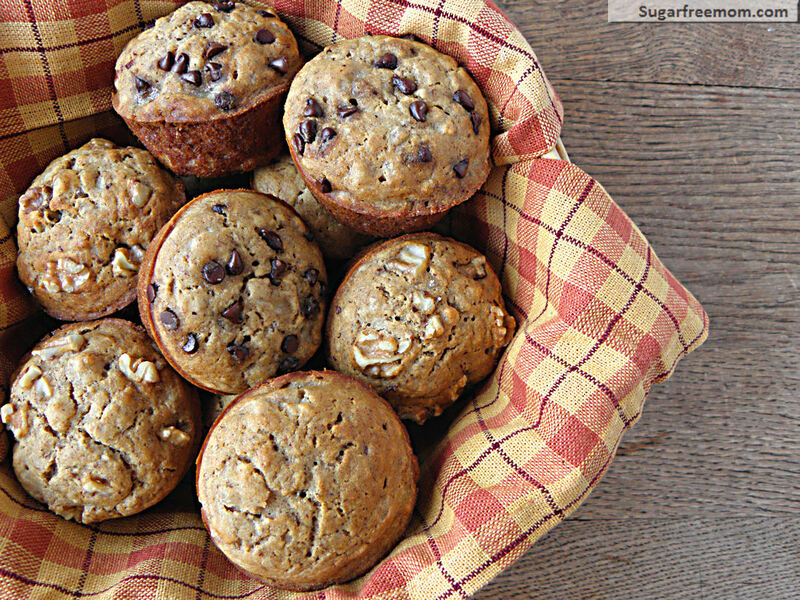 Hi,The Banana Bread Muffins (No Sugar Added) look so great. I have all ingredients ready to go but only have Gluten Free Self Raising Flour (in Australia). Can I use this? Do I then leave out anything else – e.g. Baking Powder & Baking Soda? Not sure what Baking Soda is. Does it have another name here? Yes it would help the dough rise so you can eliminate the baking soda and baking powder. I have Hashimoto’s disease and it is better if I dont have any dairy or soy. 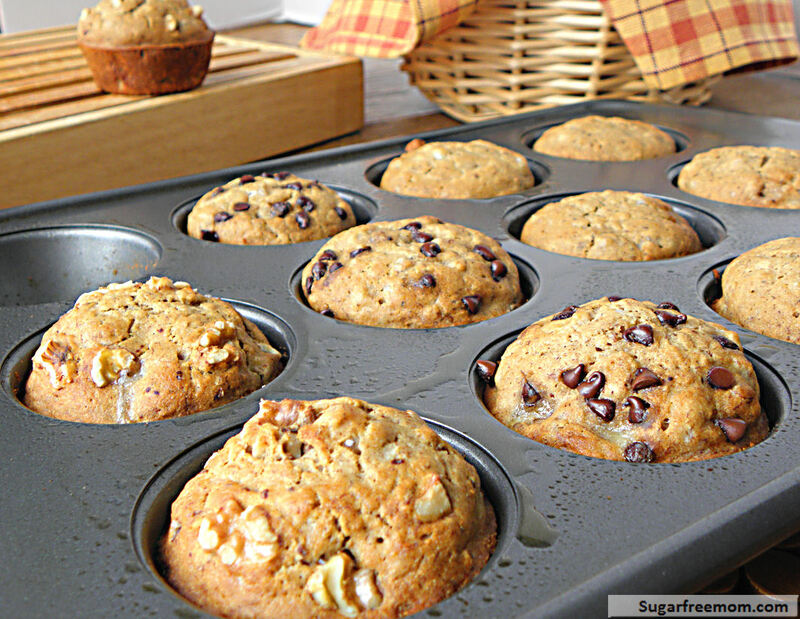 Any suggestions for replacing the milk in the GLUTEN FREE LOW FAT BANANA BREAD MUFFINS [NO SUGAR ADDED] ? If my youngest didn’t have nut allergies, I would use unsweetened almond milk. You could also use coconut milk. My daughter can’t have apples. Can I just sub oil for the applesauce? I made these using all purpose flour as we are not gluten free. They came out with a kind of gluey texture and the banana flavour was weak. Maybe if I had included nuts (not allowed at school) or chocolate chips (we’re sugar free) or maybe nutmeg or more cinnamon they may have tasted much better, not sure. 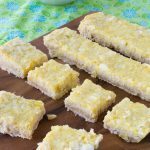 I have tried these and they are SPECTACULAR! I made a single batch to test if I’d like them since they are low WW points and they were gone before the next morning!!! Definitely one to make at least a double batch a week. I will be sharing this recipe! Thank you!